If your program need to keep a lot of objects in memory or need to perform cleanup operations on related objects before an object is reclaimed then you need to rely on reference objects. For example, you can keep track of files related to an object, and delete them when the object is reclaimed by the garbage collector. In this article, we will examine the reachability and unreachability of objects when we have a mix of ordinary and reference objects. A reference object holds a reference to some other object called the referent. We pass in the referent when the reference object is created. The mechanics of reachability changes with the usage of a reference object. We will now see using an example how a garbage collector treats a reference object. If you want to see the same example using ordinary references, read here. In our previous article on reachable/unreachable objects, we have seen that any object reachable from the root set of references is said to be strongly reachable. But of the reference path from set root of references to the object involves at least one weak reference object, then the object is said to be weakly reachable. Weakly reachable objects, like unreachable objects, are eligible for collection. The weak reference object for object B allows you to refer to object B but from the garbage collector’s perspective it is still unreachable from the root set. Had it bean an ordinary reference object garbage collector would have considered it as strongly reachable. Thus weak references are treated specially by the garbage collector. 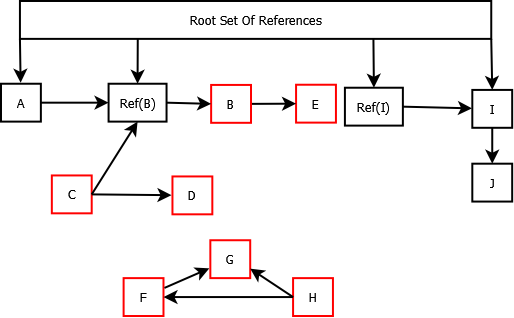 There are two reference paths to object I, one is directly from the root set and the other is from the weak reference. In such case, object I is considered as strongly reachable as it is accessible from the root set. Since object I is strongly reachable, object J is also strongly reachable. Once the garbage collector claims a weakly reachable object, all weak references to it are set to null so the object can no longer be accessed through the weak reference. Weak reference – Garbage collector always reclaims it. Phantom reference – Once an object is reclaimed, you may want to release the related resources. Instead of relying on the finalization mechanism, you may want to create a phantom reference that refers to the object. As soon as the garbage collector determines that its referent may be reclaimed, it enqueues the phantom reference. One can have a separate thread trying to remove the referent from the queue, once the referent is removed, the post-reclaim cleanup actions related to the referent can be performed. Phantom reference’s get() always returns null to make sure the object remains reclaimable. Also it must always be created with a reference queue so that we know when an object is eligible for reclaim. Unlike soft and weak references, garbage collector doesn’t clear the referent automatically and the program has to explicitly call clear(). What is a Reference Queue? 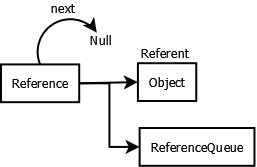 Once the garbage collector determines that an object is not directly reachable and is reachable only through reference objects, it adds the reference to the pending reference list. There is a separate reference handler thread running that enqueues the pending reference to the registered queue. 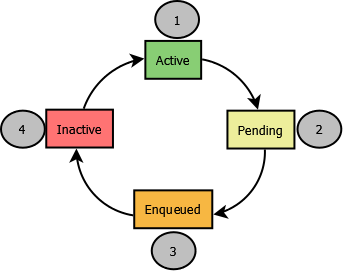 Active – Some time after the collector detects that the referent is no more reachable, it changes the state to Pending. Pending – The next reference points to itself. After GC adds the instance to the pending-Reference list, the reference handler thread removes the pending reference adds it to the queue. Next pending reference is linked thru the ‘discovered’ attribute. 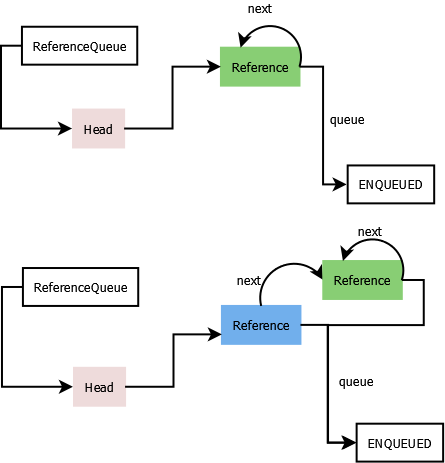 Enqueued – Enqueued reference points to special reference queue ‘ENQUEUED’, the next points to the next element in queue, or to itself if at end of list. When an instance is removed from its ReferenceQueue, it is made Inactive. Inactive – Pending reference points to NULL ReferenceQueue and next reference points to NULL. This was an example about the internals of java reference.